There is much more to the physical body than many people realize. There is a whole energy field that surrounds the human body. This is the human aura. We are composed of energy that vibrates at a frequency. 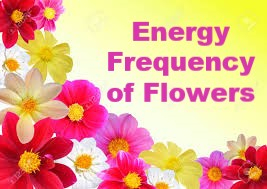 It is interesting to note that there are many different fields of energy that can affect the physical body, as they can not only emanate from, but also surround and penetrate it. Part of the energy field contains subtle bodies or bands of energy which are formed and developed upon incarnation and the foetus as it develops. This creates a kind of integration between our ‘spiritual essence’ and human body. These energy fields can thus act as a kind of bridge or link between the two worlds, and enables us to extend our consciousness. As we are vibrating energy, our thoughts and feelings and those of others affect our energy field. When our auric field is strong, vital and healthy, it is easier for us to positively attune to other realms and tap into divine consciousness, as we are operating from a higher frequency. When it is weaker or unbalanced, the more we can be affected by negative influences. There are many things that can affect our energy fields, such as poor diet, lack of rest and exercise and negative self-talk, attitudes or bad habits. 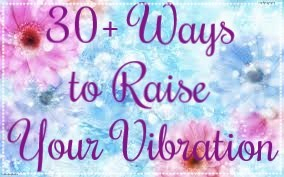 So there are things we can do to raise our frequencies and be more high vibrational, such as eating healthy and raw foods, positive thinking and affirmations, practising gratitude and meditation, and surrounding ourselves with beautiful music and positive people. We can learn to see auras by focusing the mind out of the physical, and expanding. You can have a go at this yourself. Have someone stand against a white wall, and rather than look at the person’s physical body, place your gaze more on the space above the head. It takes a while to learn to adjust your focus, but you should begin to see at least a white aura of energy around the person (it’s easier to just focus on the head and shoulders). Some people are able to see the various colours. Tina picked up on many interesting and accurate facts about Natalia's inherent psychic ability, empathy, and connection with angels/other realms. READ below. "Natalia has a very strong energy to connect with and is already a clear channel for spirit to link with. This is apparent in the aura-graph by the solid white line extending from the top of the page to the bottom through the chakra energy system. Natalia is very well grounded and the roots extending from her feet also signify a strong ancestral link. The throat chakra is well developed. This is evident by the blue spiral in the throat chakra region and signifies that Natalia communicates extremely well with others. Natalia is a natural empath and this is apparent in her energy field through the colours green and blue. There is a need for a bit more daily shielding of her energy field, as she naturally takes on board others concerns and problems at times. Visualising a white bubble of energy and stepping inside this would assist to maintain a stronger energy field throughout the day. It could be lined with a pink mirror of reflection. This would send any negative energy back to wherever it came, but as positive healing energy. Blue is also a reference within the aura-graph to her natural healing abilities and her work with Archangel Michael. Natalia is also working with the ascended masters of the seventh ray. This is by assisting others through compassion and empathy to let go of old belief systems and progress along their chosen spiritual path. Natalia’s head is her guardian angels energy. The stars on the other side of the head signal a communication with other realms and the wider universe. Channelling writing from the wider sphere of the angelic realm and star beings is an area to be explored more fully in the future. Working on a heart level is something that Natalia does naturally. She channels angelic energy and works compassionately to heal others on a soul level. Natalia has been working hard and her inner child energy is feeling a bit restrained. I feel that I want to remind her to relax a bit more and allow herself to have some fun, in order to feed her inner child energy. In turn this will lift her natural life force and creative energy and assist her to go with the flow and be open to new opportunities. The yellow diamond with a red centre which is in the solar plexus area is Natalia’s soul energy. Working with this symbol in meditation will aid her to boost her personal power energy centre. This will assist to manifest her hopes and dreams for the future. There is a strong link with Archangel Raphael via the bands of green energy extending from the shoulder area. He steps forward into Natalia’s energy field to state that he would like to work with her more fully. I get a sense of a healing project or circle of healers working on a more global scale. He states that this is an exciting time for her and that new opportunities are opening up for her to explore. There is a lot of animal energy by Natalia’s feet on the right hand side and a strong sense of working with dolphin energy and a connection with the sea. This comes naturally as Natalia has a strong link with a past life in Atlantis. There is a natural ability to work with crystals and the energy of their colours. Purple crystals in particular are beneficial for her to work with, especially fluorite. This is depicted in the aura-graph as waves of light blue with purple crystals floating within it." To get an intuitive angel reading by Natalia Kuna, visit the Services page. Subscribe to list & receive newsletter "Awakening Spirit"